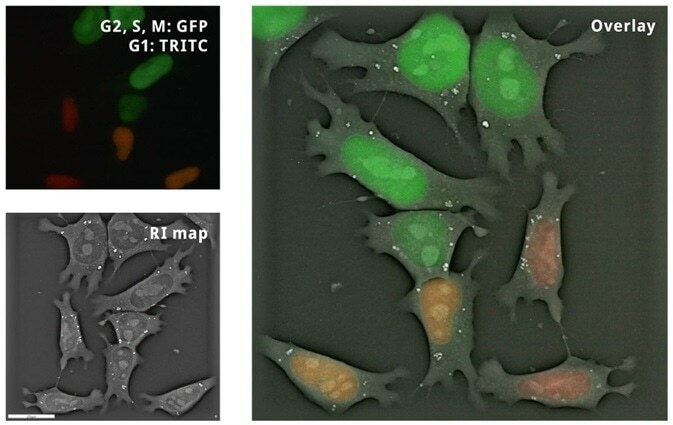 Combine high quality tomographic data with fluorescent markers. 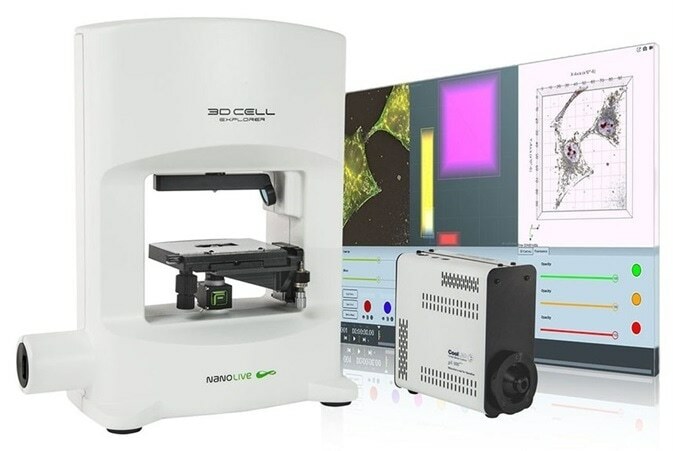 With the 3D Cell Explorer-Fluo You Can Combine the Best of Two Worlds! 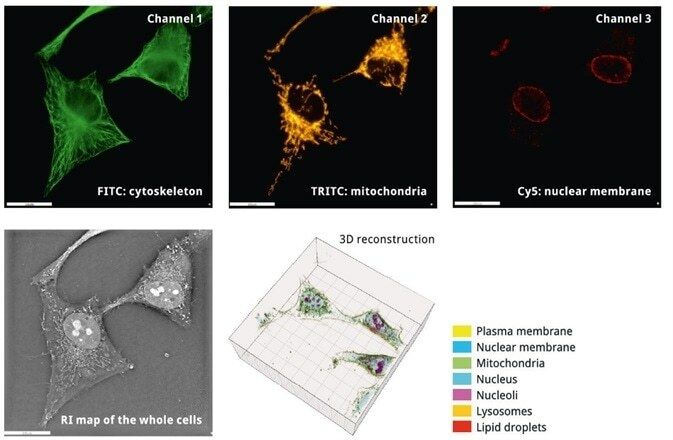 Transform 2D Fluorescence Microscopy into 3D Cell Tomography! 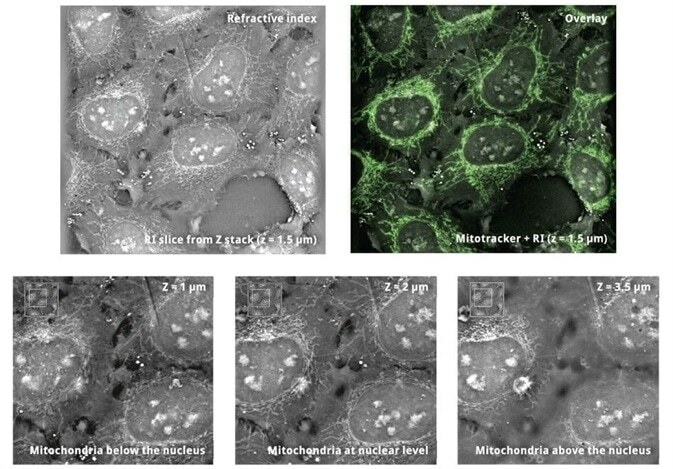 Localize organelles at different cell depths (e.g. 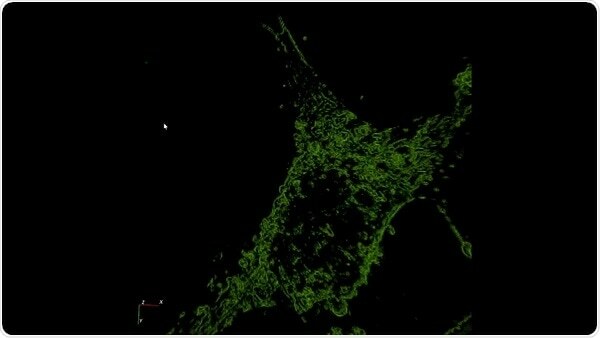 mitochondria) & calibrate Digital Stain from fluorescence signal: extend 2D into 3D. 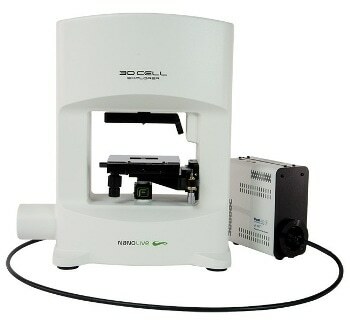 Reduce imaging artefacts, get more and reliable cell measurements. Identify out-of-focus signals, recover lost information & achieve homogeneous staining efficiency. Add structural information to your acquisition. Correlate changes at the protein level with morphological and behavioural changes in your cells (e.g. FUCCI cells). 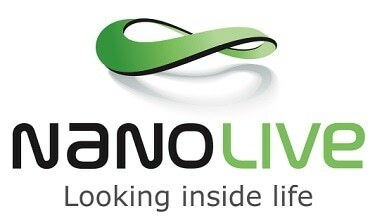 Monitor drug internalization or localization by following your whole cell at every second. 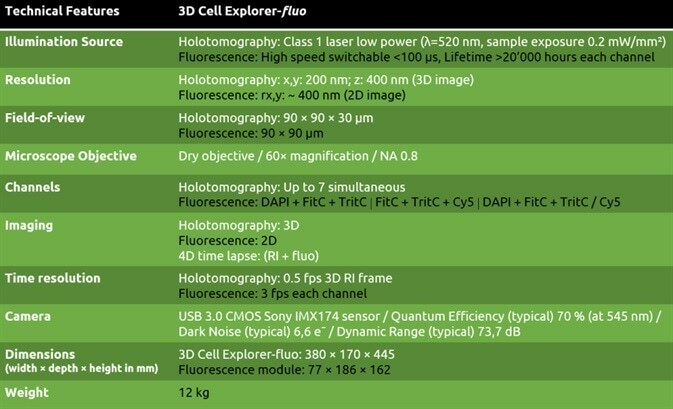 Why the 3D Cell Explorer-fluo?